Billing Chimney and Flue Services provides a full range of first-class chimney services throughout Dorset, including Lyme, Bridport, Sherborne, Charmouth, Dorchester, Weymouth, Shaftesbury and Gillingham. Billing Chimneys is one of the UK’s leading chimney construction companies. From design through to construction we can provide chimneys for all types of property, including homes, businesses, heritage buildings and more. A chimney liner helps to expel waste combustion products and prevents chimney fires. 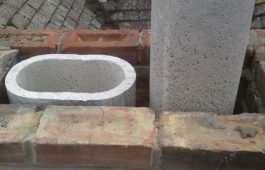 A liner will increase the efficiency of a chimney too. Billing’s expert engineers can line or re-line any chimney, just get in touch and we will advise on the best liner for your situation. 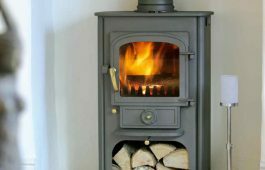 Billing’s expertise can help you choose the best and most efficient wood-burning stove for your home or premises followed by an installation service that’s second-to-none. Get in touch to discuss this attractive and environmentally friendly way to heat your home. Chimney maintenance is essential for the safety and efficiency of any chimney. 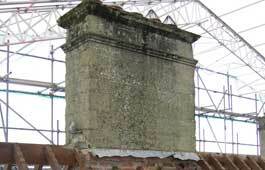 Billing has over thirty years’ experience of repairing and restoring chimneys. Our operatives have worked with a wide variety of properties from homes and businesses to character and heritage buildings. 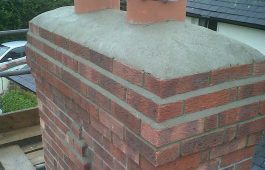 We will survey your chimney then explain the best way forward to bring your chimney back into full working order. 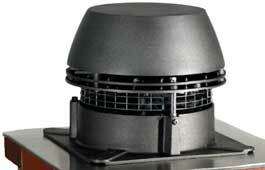 An Exhausto Fan system is a solution to draught problems in flues. Having insufficient draught in a chimney or flue can result in harmful gases seeping back into the home or workplace instead of being expelled from the chimney in the usual way. Billing’s engineers can investigate draught issues and explain how a fan can address them. 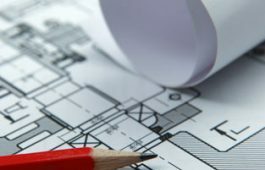 Billing chimney design consultancy offers services to architects, designers and construction professionals planning a building with fireplaces, chimneys or other related structures. Our expert advice will ensure that costly errors are avoided, and regulations adhered to before construction begins.